This new specialty tool is designed for setting in deep cavity geometry. 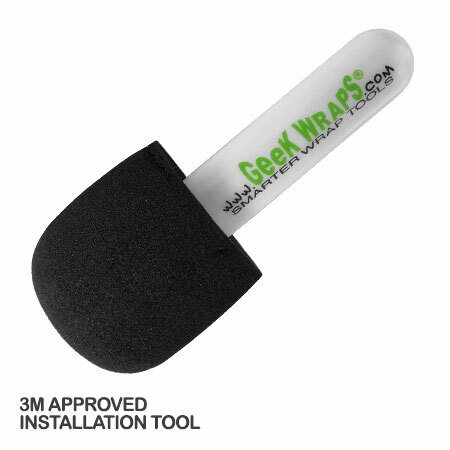 Perfect for installing heated vinyl at the required high temperature of 200 degrees, areas that are otherwise next to impossible to apply with fingers or a hand held squeegee. Made of high density foam with a diameter of approximately 2.5", the Wrap Plunger features a solid, impact-resistant, 4.5" Delrin handle for comfort and ease of use.